More brands are pulling products off shelves due to Listeria concerns. 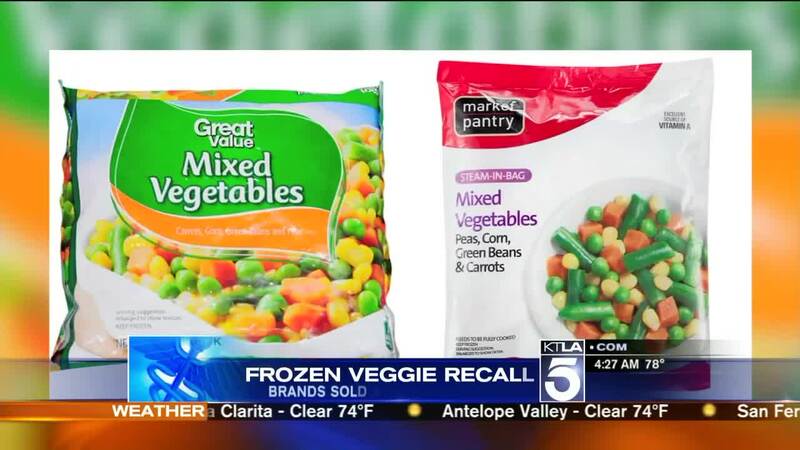 The National Frozen Foods Corporation issued the voluntary recall of a limited quantity of Not-Ready-To Eat frozen mixed vegetables and frozen green peas sold at Target and Wal-Mart. The veggie products affected include the retailers' popular brands, Great Value, Market Pantry, Bountiful Harvest, First Street and Live Smart -- and they were sold between September 2, 2015 to June 2, 2016. According to the FDA's official website, Listeria "can cause serious and sometimes fatal infections in young children, frail or elderly people, and others with weakened immune systems." Great Value Sweet peas in sizes 12 & 26 oz. Great Value Mixed vegetables in sizes 12 & 26 oz. Great Value Steamable Mixed Vegetables in 12 oz. and regular Market Pantry Mixed Vegetables in 32 oz. Market Pantry Sweet Peas in 32 oz. Also regular Great Value Mixed Vegetables in 12 & 26 oz. Short-term symptoms may also arise, which can include headaches, fever, nausea and diarrhea, and even miscarriages and stillbirths among pregnant women. The FDA is advising that consumers do not consume these products. Any customers who did purchase one of the items on the full list of products affected may return it to the place of purchase for a full refund. Megan Batoon gushes about life on set of "Making Moves"